All things romance stem from the thorn leading up to the rose. Beyond the remarkably obvious, there lies more to the rose. The rose is a nursery to many other wondrous benefits. The rose is a natural storehouse for beauty, health and wellness. Since the rose is in the Kingdom of Plantae, there are natural nutrients within the microscopic plant cells. The rose activates all five senses. Additionally, two essential forms of rose extractions can nourish your mind and body. Those are derived from the rose petals and distillation or pressing. Let’s learn more about what’s beyond the velvet petals. When most of us think of rose petals, we think of romantic situations with petals wisped afloat a bubbling bath. It is true that rose petals are royal like the Prince of Zamunda longing to find his Queen. Either fresh or dried, rose petals contain antioxidants, antibacterial and anti-inflammatory compounds. 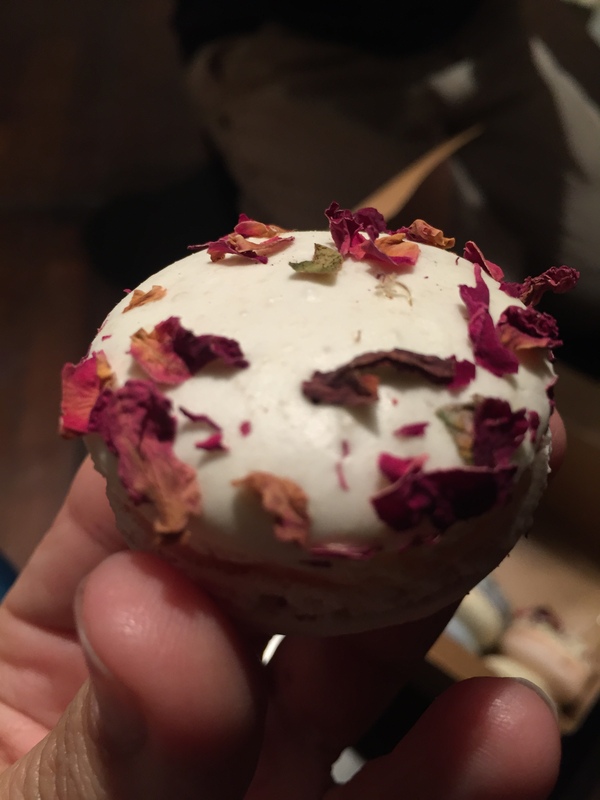 These powerful components make rose petals a great addition to homemade face masks, tonics, lip balms, teas and on lovely macarons. Rose petals can be simmered into a rose water. Rose water is a great hydrator for the face. You can make rose water at home, but people find it to be time-consuming. Also, making rose water at home tends to produce a product with a shorter shelf-life. Rose water can serve beneficial hydration to the face. Most rose oils come from either distillation or a fresh pressed. Rose absolute essential oil and others like rose otto are oils that come from distillation of the rose. These essential oils are wonderful for their aromatherapy benefits. The scent of rose can act as an anti-depressant. The essential oil is also packed with nutrients such as vitamin C, which is great for dry skin. Rosehip oil is an oil pressed from wild roses (rosa moschata) generally found in the Andes of Chile. Rosehip oil is a brilliant extract that has intense healing benefits for the skin. The oil is extremely hydrating as it contains fatty acids your skin thirsts for. The oil is a great wrinkle preventative. Plus, it’s pure and natural. Rose petals contain a significant amount of vitamin C, a powerful antioxidant our bodies need. It helps our body regenerate skin cells, connective tissue, and blood vessels. It also contributes to strengthening our immune systems. Remedy: If you’re starting to feel a bit sick, steep fresh rose petals in boiling water until the water starts to turn a bit pink. Enjoy your tea with a bit of honey to sweeten. Along with vitamin C, rose contains antibacterial properties which makes it an excellent ingredient for skin care products. Vitamin C helps to brighten your skin while the antibacterial properties help kill bacteria which can get into your pores and cause acne. Look for beauty products like a rose water cleanser to fight acne or other skin problems caused by bacteria or better to make some on your own. The reason rose water products are so popular for acne is because rose also has anti-inflammatory properties. These properties help to soothe redness in your skin. Mix a couple of drops of rose essential oil into your face moisturizer and you’ll give your skin a boost for relief. 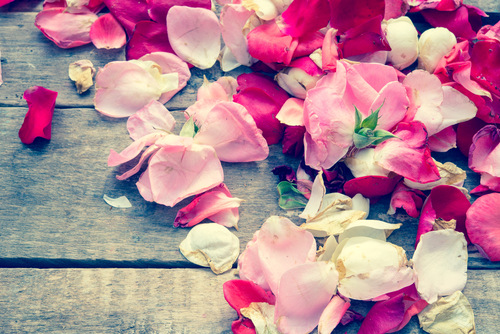 Remedy: To help soothe your skin or treat acne, try making a mask of rose petals. Soak several petals for 3-4 hours then mash them with honey. Apply the paste to the skin and leave for 20 minutes then wash it off. Some say rose tea relieves menstrual cramps. But, studies have never been conducted to test its efficacy. However, a 2015, study carried out in Taiwan revealed drinking rose tea helped relieve menstrual pain in adolescent girls, in addition to helping them relax. An added benefit of drinking rose tea is its diuretic and laxative effects. The diuretic nature of rose petals help to flush toxins out of your body and can help prevent UTI’s. The laxative effects help keep your gut healthy by keeping everything moving along. Being relaxed is one of the most underrated states of beauty. The scent of rose is relaxing to many people, which is why you will hear of spas adding rose petals to baths and see rose-scented perfumes. Remedy: To soak your troubles away, add several cups of rose petals or a few drops of rose essential oil to a hot bath and soak for 20-30 minutes. Adding rose-based products to your beauty regimen is a must to help you stay relaxed and keep your mind and body glowing.